In spite of the improvement of communication link and despite all progress in advanced communication technologies, There is still very few functioning commercial Wireless Monitoring Systems, which are most off-line, and there are still a number of issues to deal with. Therefore, there is a strong need for investigating the possibility of design and implementation of an interactive real-time wireless communication system. 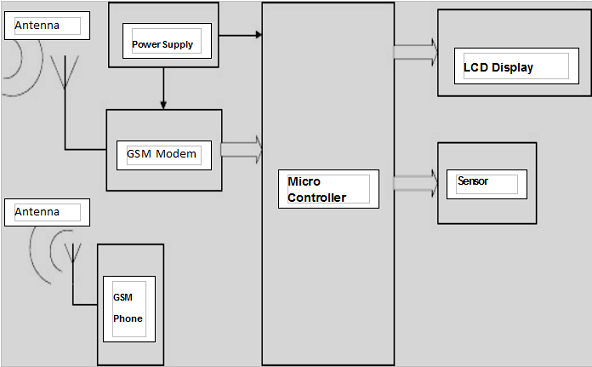 In our project, a generic real-time wireless communication system was designed and developed for short and long term GSM Based remote patient monitoring applying wireless protocol. The primary function of this system is to monitor the Heart Beat and temperature of the Patient and the Data collected by the sensors are sent to the Microcontroller. Microcontroller and then display the result over the LCD display. If there is a dangerous change in patient's status a message is sent to the doctor’s mobile. Cost reduction pressures and the need for shortened in-patient stays are promoting the use of wireless patient monitoring systems in hospitals & Life line Ambulances. Their contribution to better process management, superior flexibility and increased efficiency within hospitals is further underlining the appeal of wireless networking options for patient monitoring systems. This device can be used in lifeline ambulance to monitor patient’s conditions before reaching hospitals. By this doctor can understand the present condition of the patient before reaching the hospital. Thus doctor can arrange for any immediate necessities for patient. This can also be used in ICU, CCU, MICU & POCCU in hospitals where the condition & pulse rate monitoring of patient is necessary. With the advanced flexible PCB technology & SMT we can make devices suitable to embed with patient’s body so that doctor can monitor the patient even if he is in the remote area. It is the study of theories that apply to the arts in a broad and fundamental way. It means having to do with beautiful, as distinguished for the useful, scientific or moral based on or determined by the beauty rather than by practical or moral considerations. While considering the designing of a product, it should have a good appearance. Beauty is one of the peak things that determine the market or product. It is study of engineering that deals with the relationship between beauty and working of product. A product should not just have a good appearance also it should be able to work properly. It emphasizes the basic requirements. 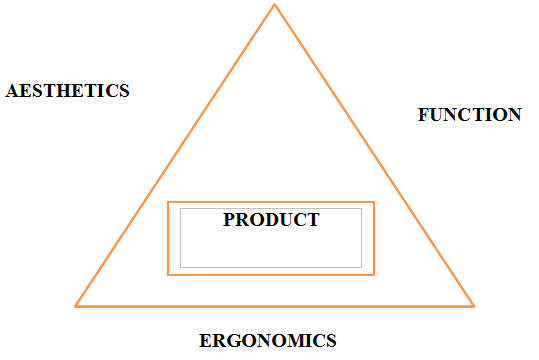 Function implies the activity of purpose of a product. Before designing a product its function have to be well defined, so that it can be designed to work accordingly under all considerations. Apart from the three elements of design, two other factors are to be considered while designing a product, their cost and reliability should. The product should have maximum reliability at minimum cost. To monitor patient in remote area or even if they are travelling. Device can monitor the condition of a patient in pre-designed intervals and send continuous SMA to doctors mobile phone. It provides an additional alert call and SMS when condition becomes critical. Device can be used in life line ambulances to monitor patient’s condition before reaching hospital. Proper readings may not be obtained if body temperature is below 35’C or fingers are very cold. It may not be always possible to get the required sensitivity at earlobes due to various factor like dark skin colour , insufficient flow of blood, presence of hair etc. The finger position on the photo sensor must be stable. Also, the force pressing the finger or ear lobe to the photo detector must be nominal. Device can monitor the condition of a patient in pre-designed intervals and send continuous sms to doctors mobile phone. Patients under isolation wards can be monitored without human interface. This is an easy, practical, inexpensive and very effect way for transmitting vital information to the health care staff and health care providers.